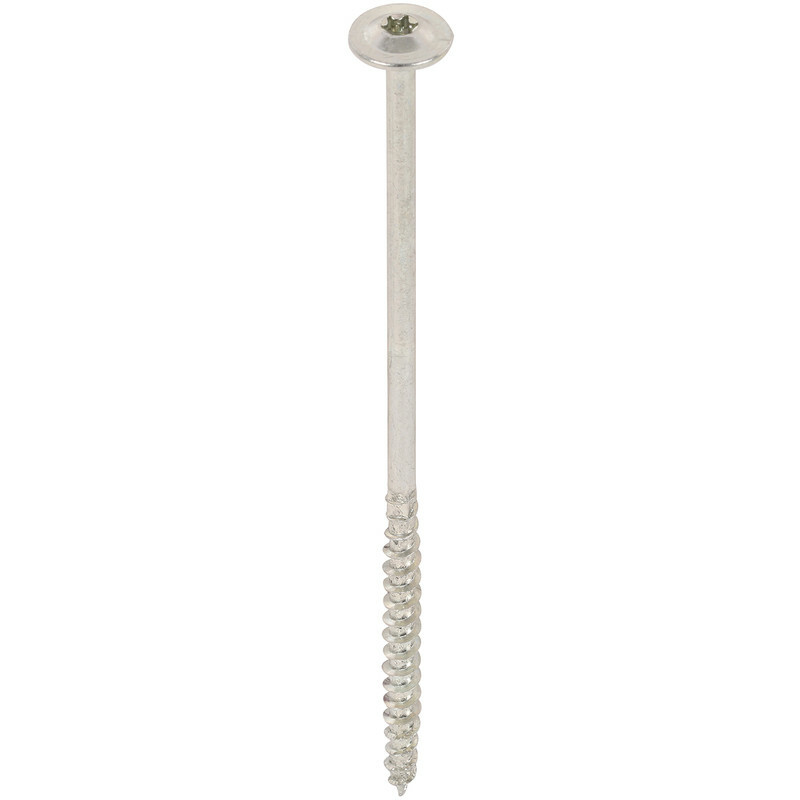 Corrosion protected construction screws suitable for battens and squared timbers. Secure connection with high load bearing capacity. 4CUT point ensures exact screw positioning, reduces splitting and reduces screwing-in torque required. T-STAR plus bit recess gives a secure fit and better driving. Partially threaded. No pre-drilling required. SPAX Wirox T-STAR Washer Head Screw 8.0 x 180mm (50 Pack) is rated 5.0 out of 5 by 1. Rated 5 out of 5 by Pete 01 from Works well Bought to screw OSB sheet on top of 120mm of insulation on a warm roof.Joiner was impressed, and the roofers commented on a very neat job.Downside- a bit pricey, but you get what you pay for.